Home › Fish Tales Network › FISH TALES NETWORK › Deep fried, delicious, ocean goodness. Clam Strips are this week’s featured product. Deep fried, delicious, ocean goodness. 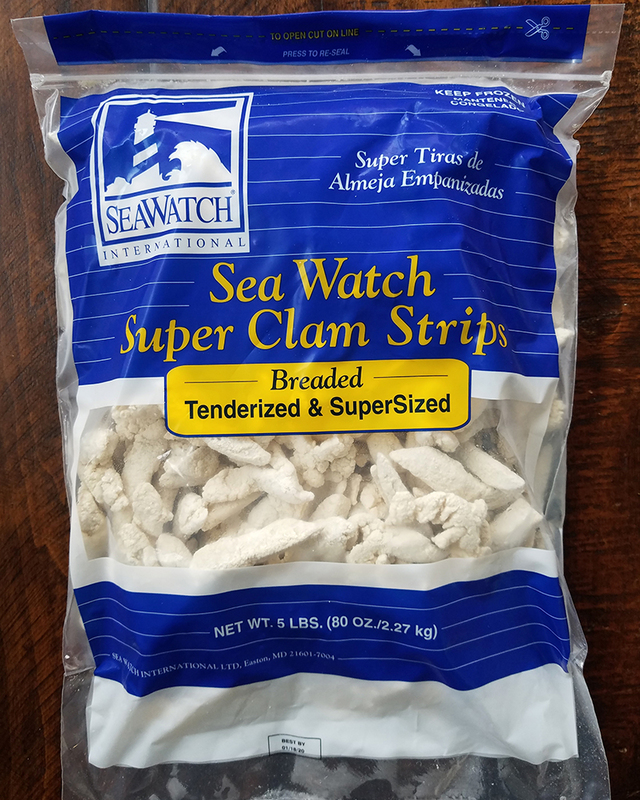 Clam Strips are this week’s featured product. Who doesn’t love Breaded Clam Strips? You can find these tasty fried morsels on menus all across the country from coast to coast – and even in between. Fried seafood like Breaded Clams have deep roots in New England, where it is revered as highly as barbeque is in Southern states. Seawatch brand sets itself apart from the rest because of their size and sustainable MSC certification. The giant strips are plump, and juicy and very hard to dry out. With the average length of 4”, these can be the show stopping star or the perfect addition to your entrée as a garnish. An option is to served them up with Calamari and pickled Shishito Peppers (which you can also find at Samuels!) for an unbelievable appetizer. Go for a slam dunk and make a dipping sauce with Kewpie Mayo, Yuzu juice and zest with a generous touch of Togarashi for heat. You can find XXL Breaded Clam Strips on special for the rest of March. Sold in cases of 2 x 5 lb. Packages, these are just $64.00/case. So call your Samuels agent today, and get clammy! « Heyo! It’s Kewpie Mayo!